Lee Ann brings many years of customer service and client relations experience to the Schrette & Lee family. Her dedication to our clients and passion for helping people is apparent in everything she does. Prior to joining Schrette & Lee over 10 years ago, Lee Ann worked for a large national insurance agency that specialized in offering health insurance to farm families throughout the United States. 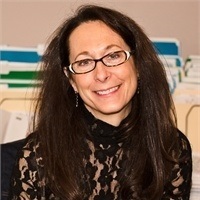 During her 20 years at that agency, Lee Ann supervised and managed a staff of over 30 customer service representatives. Lee Ann was born and raised in the Lewiston-Clarkston Valley of eastern Washington and north Idaho and is married to Buck Hostetler. Buck manages the family farm and ranch outside of Asotin, Washington. Lee Ann and Buck have one daughter, Riley. Lee Ann’s interests include spending time with family and friends, boating on the Snake River, golfing and traveling to unique places with her husband throughout the northwest.